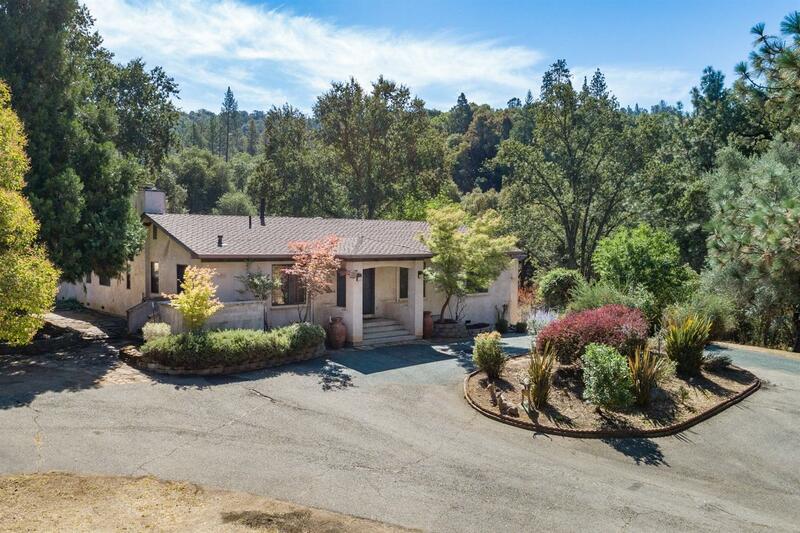 Country gem minutes from downtown Sutter Creek. Single story living on 12+ acres. This spacious home has an abundance of natural light, surrounded by lush mature landscaping. The courtyard is the perfect place to unwind. The cottage w/full bath offers much potential. Horse lovers, you'll love the barn with turn outs. Access around the property is a breeze with established roads. Gardens, patios, privacy, paved access. 20 gpm well. This property scores a 10+!